On my Facebook group for Beginners Fab Tv a topic came up based on some pics that one of the members of the group (HellPaso Fabrication) was doing. 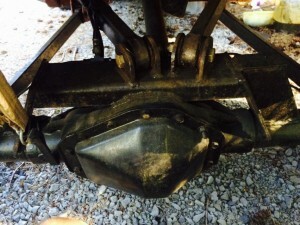 This particular member was fabricating a new front suspension and correcting/changing the steering system to match. Part of this process required some new tabs to be fixed to the knuckles on the off-road rig being modified. Thing is, the knuckles are a cast material. 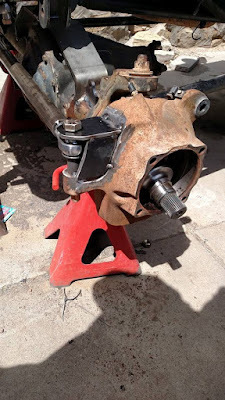 This of course started the conversation on if the steering tabs could, or should, be welded to the knuckles of the axle. Here's a bit of what I have researched for those who want to know a little about welding to cast materials if the need may arise. Ways Of Thinking On Welding Cast. There are basically two different forms of thought on the topic. Typically speaking, both sides are very animated, and will almost inevitably begin calling the contradicting way of though some derogatory name. I though, will not be opining in this article, nor will I be calling either way of thinking any names. One way of thinking is that, there is no problem welding mild steel to a cast material at all. People who think this way, say "it just takes some technique and practice". Contrary to this idea mentioned, is the opposing one that says, "there is nothing sure about the weld strength and stability". Those who think the later way mentioned are even more skeptical when joining cast materials and mild steels together. So, which of the two ways of thought are correct? Honestly, I've not found any information that scientifically shows that welding cast materials is secure by numbers of force, or stress test. However, I have also seen proof that welding cast materials can be seemingly strong. So, the scientific facts may exist, I just haven't found them yet. However, there does seem to be a general leaning of doubt, as to the strength of welded cast materials, when talking to experienced metal works. I'm not saying all feel this way, just a larger number (once again, seemingly), than those who are super sure about the weld-a-bililty and strength of welded cast material. For sure though, both options have some pros and cons. From what I can tell, the list isn't really that long. While the pro list may be a bit shorter in quantity, the finical implication, definitely makes people stop and think before ditching the idea of welding cast. That being said, here are some of the pros and cons compared. Pros: An undoubted pro for the decision of welding Cast materials to mild steel, or other cast parts, is the cost factor. This fact is potentially the most important factor that encourages the idea, and the temptation to better methods of welding cast. 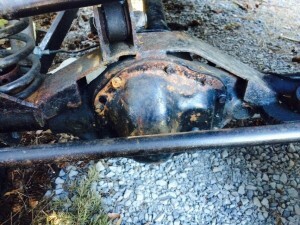 This is due to the fact that tossing old (still good) cast parts to the side in favor of more expensive mild steel parts, generally has a large monetary cost involved. Where as, just welding a cast part can generally be accomplished with a few tools most shops, or avid metal workers would already have. For someone to be able to weld cast "effectively", they will need a few things to make this work. They'll need some kind of heat source that can heat the whole component around the welding area. 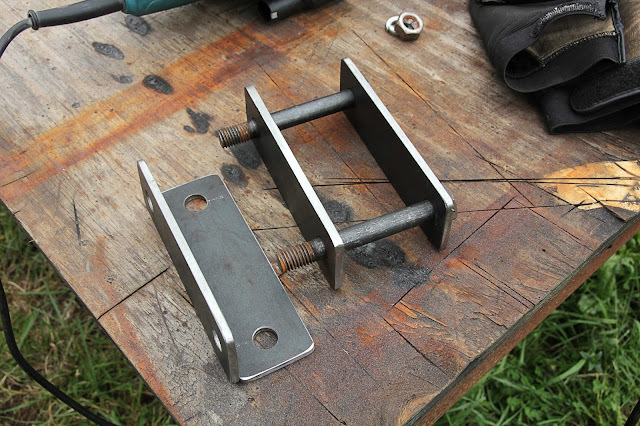 Some place to let the welded pieces sit until they cool in some material that insulates them until cooled. Specialty welding materials. (Wire and gas, or at least, the correct welding rods.) And of course, the time required. So, as you can see, there is still a substantial cost involved in welding cast parts. If it's done with the highest standard, most commonly excepted, of course. Pro: Another common reason for the desire to weld cast parts is to keep a job going, or get it done, for a tight completion deadline. Con: You could potentially be sacrificing quality for time efficiency. Pro: Results of welding with mig or tig can turn out decent looking. Con: Honestly, I've seen very few welds, be it mig or tig, that have turned out to have the same aesthetic quality as mild steel parts being welded together. Typically, a qualified welder, can make the cast steel welds look decent. Maybe even good, but making them look great... That's almost impossible. Pro: I've seen some pretty ugly cast welds come out of peoples efforts, and yet they have served their purpose for some time doing it's job. Con: If you talk to people who have welded cast materials, and you ask them how their first cast metal welding project turned out, they typically re-count a horror story of cracks, spattering, bird turd looking welds, and generally one of either giving up, or having to redo the project later. So, if you are looking at doing a project, and needs it to be right, or if your life is going to depend on it, and this is your first time welding cast, please think about it carefully. Pro: While reading on-line, or talking to enough welders, you will find that many pieces of farm equipment, heavy machinery, or even irreplaceable antique parts have been successfully re-welded. Many of these have also withstood quite a bit of beating, stress and fatigue as well. Con: Most professional racers, or heavy equipment operators would select purchasing a new part over a repair, if the new part cost doesn't out weigh the repair cost by multiple times. Most commonly, the reason stated is security of strength and the weld holding. Once again, I want to make it very clear that I am trying to convey the information I have found thru my sources to you, the reader, in the most honest way possible. I am not trying to sway or express by personal preference. Even still, each fabricator has to make a choice as to whether or not they will decide to trust welding on cast or not. Some may do it with no qualms at all, while others may prefer to pay the extra cost, for "that peace of mind". This is a very personal decision, and is something that needs to be thought about seriously. Especially, if you are building a suspension/steering system for a rig. While it may hold for an experienced welder, or for the uses that one off-roader gives the cast welding, it may not work the same for you. As with anything thing, you need to try and compare apples to apples. If you plan on rock bouncing, and you're talking to a guy that drive mainly fire roads, and does torturing his suspension, then you might want to talk to another wheeler that has done what you plan on doing. I would like to give special thanks to Hellpaso Fabrication and Brad Blake for providing me with photos of Cast welding. Thanks guys! All rights belong to Hellpaso and Brad Blake. These photos are not to be distributed without the content providers permission. Please note: All links with an (*) beside them, are affiliate links. When purchasing an item thru these links,www.offroadindependence.com, and www.beginnersfab.com recieve a small percentage of your purchase price. This, is a HUGE SUPPORT to me and my sites, that help me continue in my efforts to create, produce, and promote the ORDIP podcast, as well as all Beginners Fab content. Thank you for your support! Got the best school to learn welding which I was looking for almost a decade and believe me I am not disappointed a bit! Great opportunity at welder hanover pa! Five Stars! Got the best school to learn welding which I was looking for almost a decade and believe me I am not disappointed a bit! Great opportunity at Mike! Five Stars! Among the many types of WeldingStars lens is the magnifying welding lens. This has been considered one of the great innovations in welding lenses.